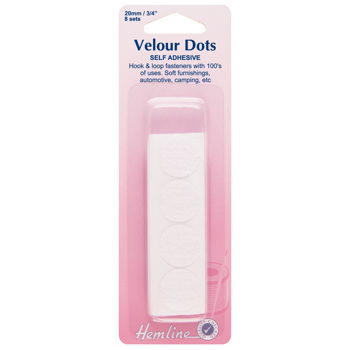 Self-adhesive dots hook and loop value pack. Hundreds of uses around the home, in the car and outdoors. Black - 30mm, 8 sets. 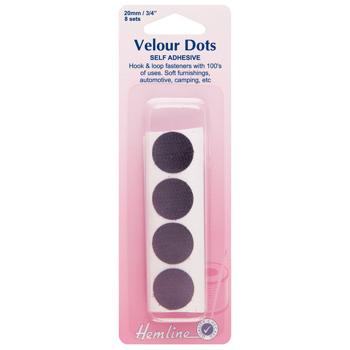 Self-adhesive dots hook and loop value pack. 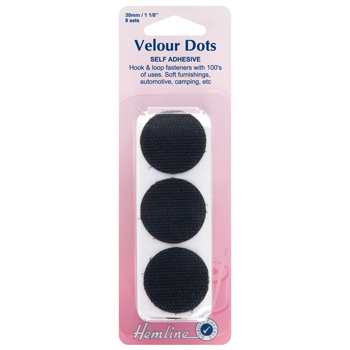 Hundreds of uses around the home, in the car and outdoors. 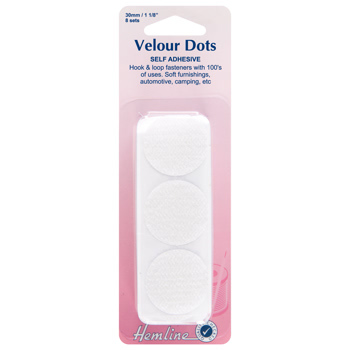 White - 30mm, 8 sets.